Blaney have pioneered mowers for a fine chop in extreme conditions without the need for big HP. Left to its own devices your pasture will become choked with weeds which will stunt the growth of healthy grass. The Blaney range of Power Shredder 2™ mowers are an evolution of conventional flail and mulcher mowers, giving an extreme hyperchop and ensuring faster travel speeds. With finer chopped material, more cut edges results in faster decomposition. The Power Shredders 2™ are a vital tool in topping and maintaining well-kept green pastures, essential to the health and well-being of your stock grazing them. The range is designed for and tested to cope with the densest of weeds including rushes, which no other competing brand can deal with. The Power Shredders 2™ are equally effective for topping grassland areas, and t ackling weeds such as docks, nettles and thistles, bracken and ragwort allowing you to work at faster travel speeds, saving valuable time and fuel. In today’s market, profitability for any landowner or farmer is essential,savings must be made where possible. The Power Shredder 2™ has been shown to reduce diesel by up to 12% compared to a tractor flail thanks to less load on the engine and greater efficiencies. It can also work at faster travel speeds, saving valuable time and giving a finer chop. Protect your single farm payment, optimize grazing and maximise profits. For smaller applications or if you can’t access your ground with your tractor why not try our ATV Power Shredders manufactured by Quad-X our ATV machinery division, available in 1.3m – 1.5m cutting widths with optional engines sizes from 16HP – 23HP to tackle those wetter areas tractor can’t reach! As you move up through these ranges, the rotor set up changes to achieve a finer chop, to allow for faster decomposition of clippings. The design improvements result in increased working efficiency – for a faster travelling speed saving fuel and time. More blades ensures less pressure on the blades to allow for use by smaller horsepower tractors. 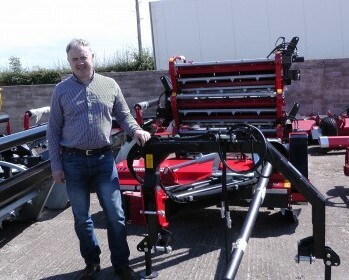 The flail mower range gives significant advantages over conventional competitor flail specs with the ability to handle material in larger volume, higher density and provide a finer chop. The higher performing Dynacut Range is 30% more effective, for a finer chop and better fuel efficiency. The impressive Hypercut range offers 45% increased effectiveness, for maximum cutting efficiency and the finest chop. Blaney Agri offer a number of standard models of Power Shredder, suited to the most common requirements, however as with a lot of the Blaney Agri Machinery range, their engineers can custom build a machine to suit your specific needs. To select the right Power Shredder for you, you must consider the type, density, area of vegetation you will be cutting and how fine a chop you want. Innovative rotor & blade design ensures material is chopped finely into a mulch-like material and spreads it more evenly. Rotors are extra thick but have a small diameter for less stone damage. Rotor runs at a much higher speed than a tractor flail to give a finer chop and greater fuel efficiency. A finer chop is important to aid decomposition. If you cut heavy material in longer lengths and leave it lying in swards, it will block the sunlight getting to the grass which will inhibit it’s growth. Ideally you want to cut the vegetation down as finely as possible to allow for it to rot away quicker. With some materials such as rushes* this not only fertilises the soil, but also gives grass a better chance to grow back quicker. By promoting better grass growth, this will leave less space and nutrients to be taken over by more weeds. *Finely cut rushes contain 70% NPK value of farmyard manure. The finely shredded rushes fertilise your ground to help boost grass growth and profitability. 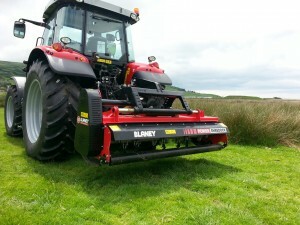 Blaney Agri offer 3 ranges of Power Shredder, which are named according to their rotor set-up. The design improvements result in increased working efficiency, for a faster travelling speed, saving fuel and time. The Economy range is more comparable to competitor flail specs. Rotors have been designed to reduce blade replacements. Significant research into material and rotor design has resulted in high strength smaller diameter rotors for significant advantages in protection against stones and obstacles for less blade breakages. 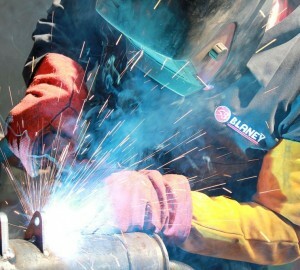 Blaney Agri offer a choice of blades to suit your cutting requirements. These blades are suited for grass and light topping and tuck up under the rotor to minimise damage, which is suited to stoney ground. 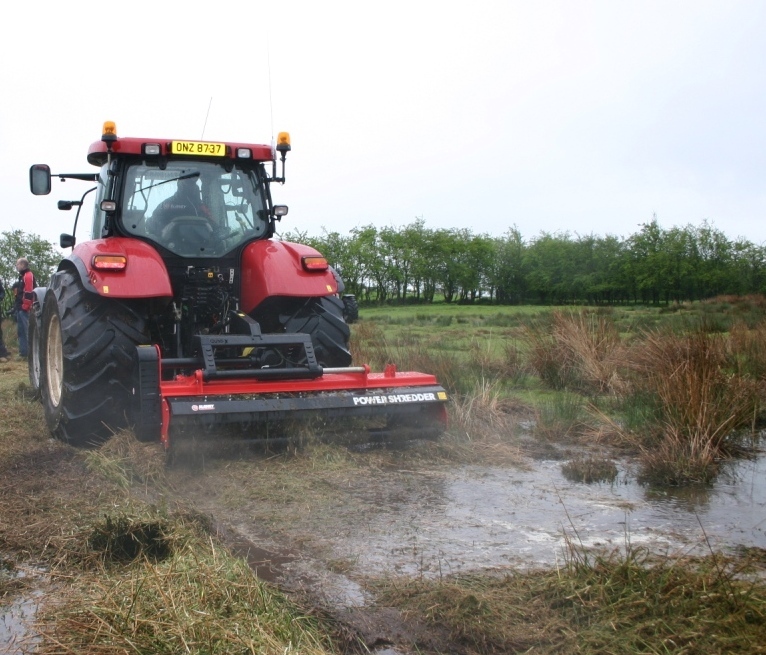 These blades are tempered and can be sharpened and a re ideal for heavier vegetation such as rushes or bracken. 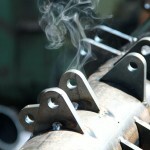 These tuck up under the rotor to minimise damage, which is suited to stoney ground. These are best suited to cutting material such as heather and gorse. Unique blade mounting allows them to wrap around the rotor to minimise the need or blade replacement. Details of which blades are standard and which are optional on the different rotor ranges can be found within the specification tab. Thanks to the innovative rotor and blade design, the Power Shredders can shred heavy overgrown material such as rushes, gorse, bracken, heather & scrub. Finely cut rushes contain 70% NPK value of farmyard manure. The finely shredded rushes fertilise your ground to help boost grass growth and profitability. 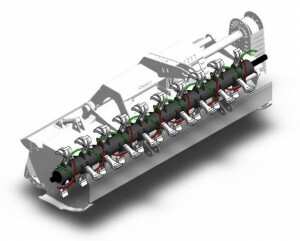 Rotor runs at a much higher speed than a tractor flail to give a finer chop & greater fuel efficiency. The Power Shredder 2™ has been shown to reduce diesel by up to 12% compared to a tractor flail thanks to less load on the engine and greater efficiencies. It can also work at faster travel speeds, saving valuable time and giving a finer chop. Protect your single farm payment, optimize grazing and maximise profits. A new design cutting chamber significantly reduces power consumption as a result of reduced resistance in material flow and air flow. The Power Shredder 2™ deck has special double-skin alloy body for minimum weight and maximum strength. Auto belt tensioning reduces drive wear and maintenance, keeping you o n the job longer. Standard skids come with the Economy range mowers, with floating wide skids as standard on the Dynacut and Hypercut range. The skids help the mower ‘float’ across the surface to prevent any scalping of the ground if there are any holes and ruts and areas of rough terrain. The floating wide skids are curved and are ideal for use on wetter ground to spread the pressure and avoid the machine sinking and digging in, especially when side shifting. 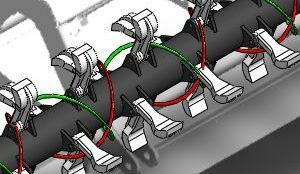 Shear Bolt drive protection is included as standard, with Overrun clutch drive protection an option. Rear rollers can be fitted to any of the Power Shredder models, with a rear roller scraper available on the Hypercut range to remove grass and muck to keep the roller clean for smoother travel and a tidier finish. . 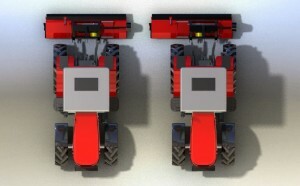 The Blaney Agri Mowers are rear mounted and cut inline as standard, directly behind the tractor. However different options are available to suit your requirements. You can select a sideshift option to allow you to offset the Power Shredder 2™ by 450mm to the right. 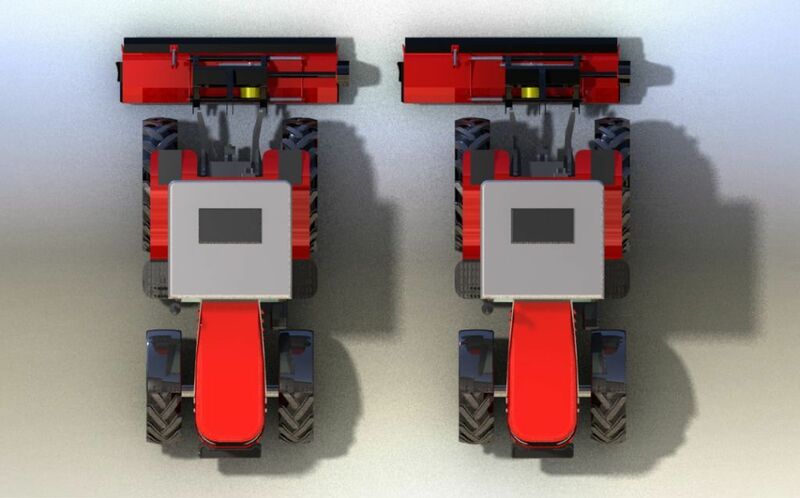 An option of front mount with rear mount ability is also available which gives you the option of mounting the Power Shredder 2™ in front or behond the tractor. 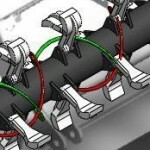 If you are working in relatively light material the manual clipping size adjustment is likely to be suitable. 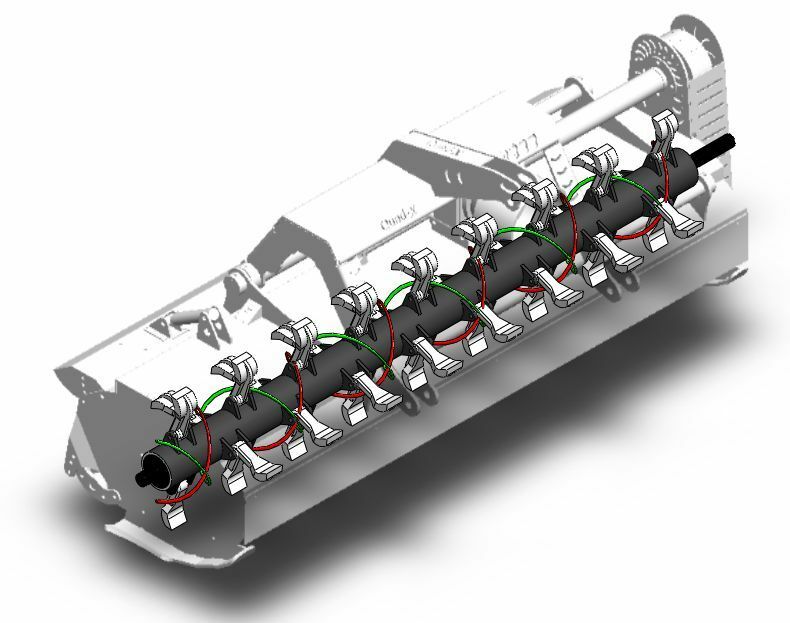 However if you are working in much heavier vegetation the hydraulic clipping size adjustment option could be useful giving you the ability to adjust the clipping size adjustment from seated in the cab. This allows you to clear any excessive build up of clippings quickly and easily from the deck. Diffusers can be added to further create a more even spread of clippings. The diffusers direct the clippings to exit the mower in a uniform manner for optimum spread for faster decomposition.